I love re-purposing things, using something that might be thrown out and turning it into something beautiful. Very rarely can you re-purpose something without doing a little painting or reviving of it. However, sometimes just thinking about a furniture piece differently can be the change to make that furniture be usable again. 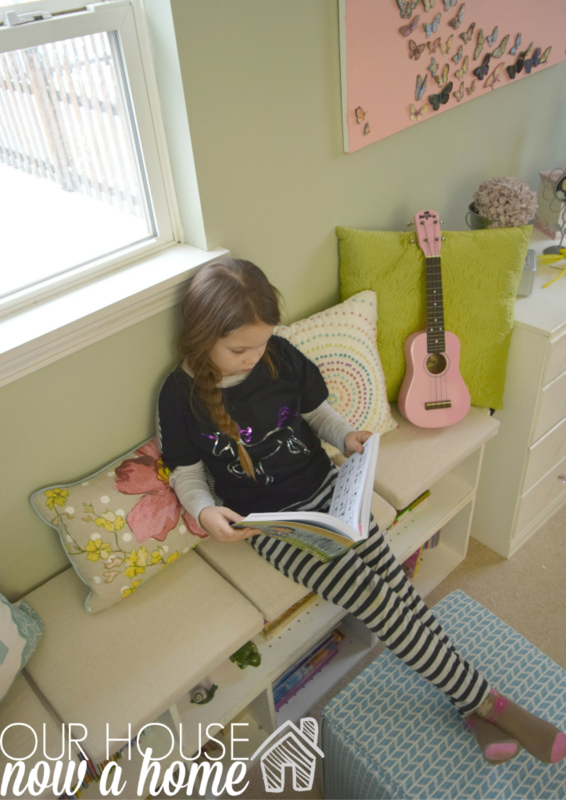 Nora has dreamed of a window seat in her bedroom, but we have smaller and high up windows in the kids bedrooms. On most days when she is not at school you can find her huddled up with a book, the snow and cold outside means we are in hibernation around here. Getting lost in a book alone or with the whole family is a favorite activity for us to pass the snow days away. 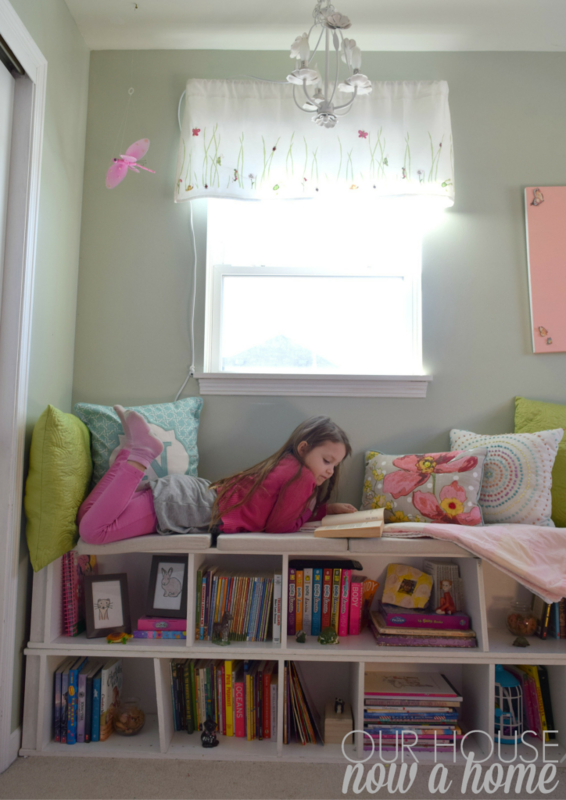 With all of this snow and cold weather outside I got to work Creating a simple window seat for Nora’s bedroom, finally creating a cozy reading nook for her to relax. 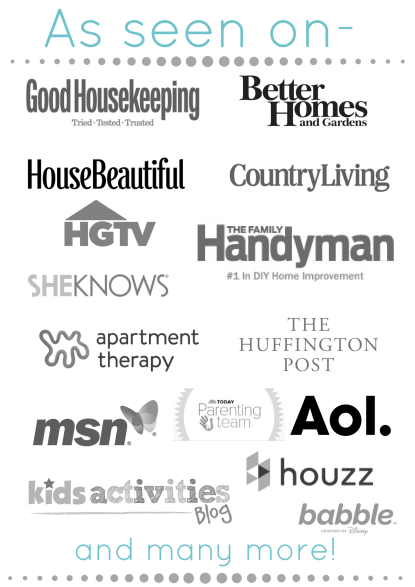 I am teaming up with Wayfair.com for their spectacular Snow Day campaign. I am also teaming up with a newly minted 8 year old named Nora who has a lot of books and a lot of opinions about her bedroom. 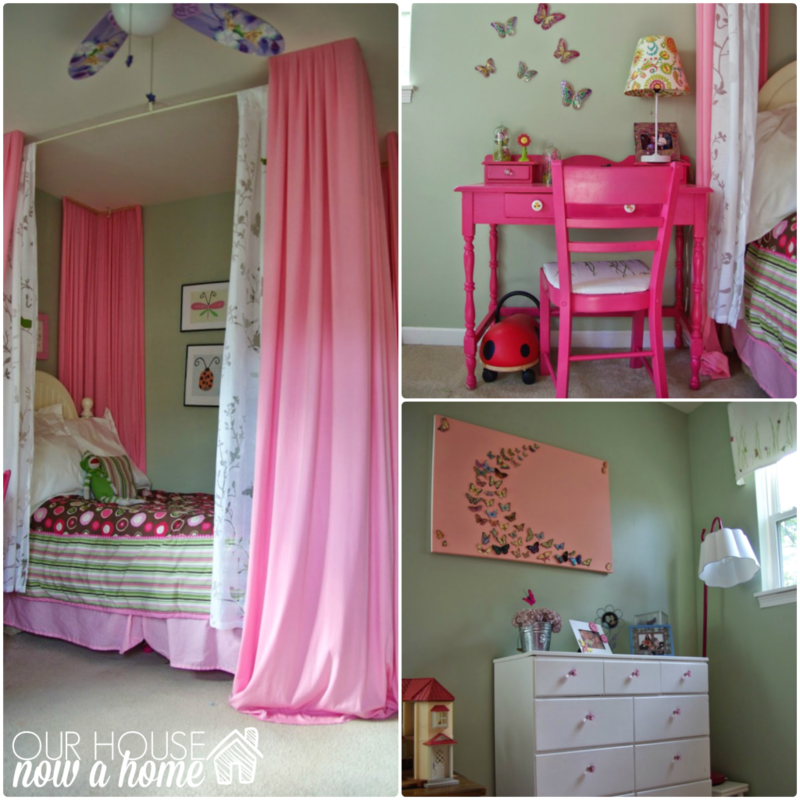 This is Nora’s bedroom, it is perfectly sweet and feminine. This is what was the situation with her books was. Like I mentioned, she has craved a window seat for the longest time. Short of getting her new and bigger windows which I do not see happening. I finally figured out a solution to a few problems. One being her book obsession and lack of more storage and her dream window seat. 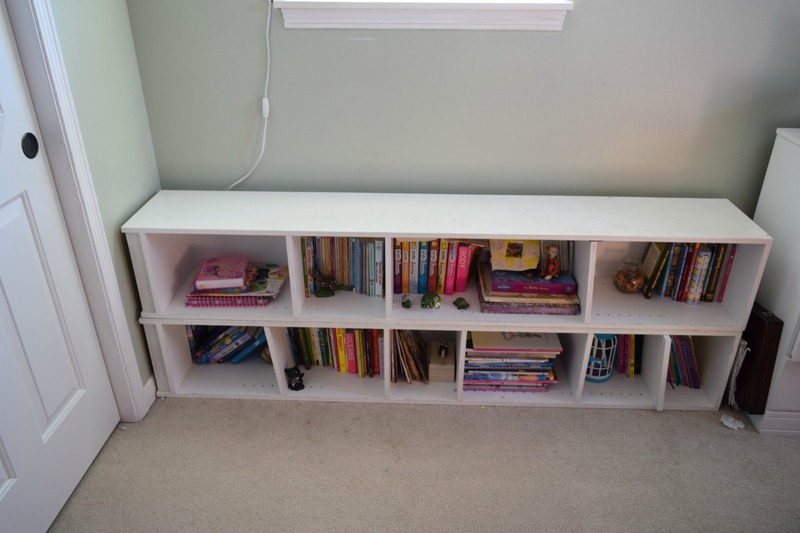 I had another one of these skinny and tall bookcases, the other was in the basement. I set them on their sides one on top of the other. They sit at almost 3 feet high, which is just enough for Nora to sit on them and look out the window. 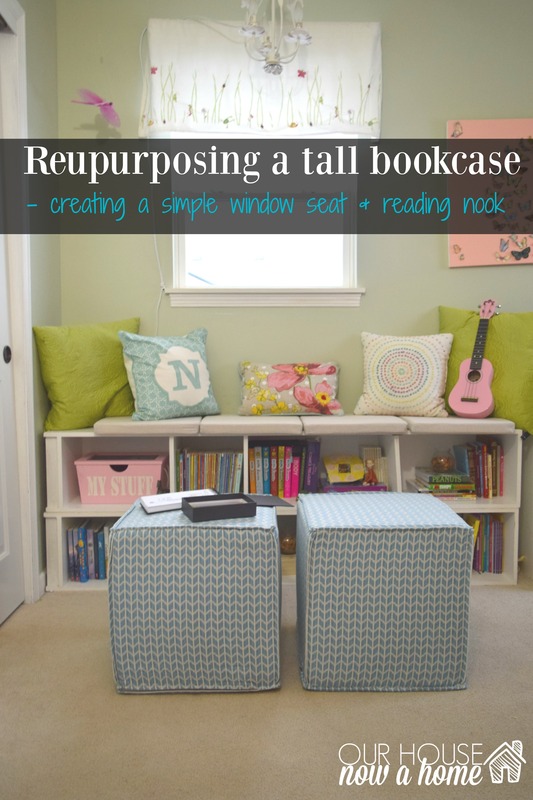 Creating a simple window seat was really that simple, lay some shelves sideways and fill it with her books. Nora is in second grade and reading at a 5th grade level, she has a lot of chapter books and will cozy up for hours lost in the story. Now we have more space to fill with even more books! The biggest and most important step for this Spectacular snow day project is to make it cozy, in my mind that means as plush and comfy as possible. Time for pillows! I purchased a few, used some that we no longer use in the house, and made a perfect little perch for Nora to sit on and watch the snow fall outside. We did not get pummeled with 3 ft of snow like the East coast did, but we still get some kind of snow almost everyday here in Wisconsin. I was planning to make a longer cushion for this bench eventually, but we had these seat cushions for some outdoor chairs. We have had them downstairs for a while because we not longer have the patio chairs these went with. It was an almost perfect fit! These green pillows are another thing that used to sit in our living room. We moved into a more gray and turquoise color scheme and these had no place. Because I am a legit home decor hoarder I kept them. 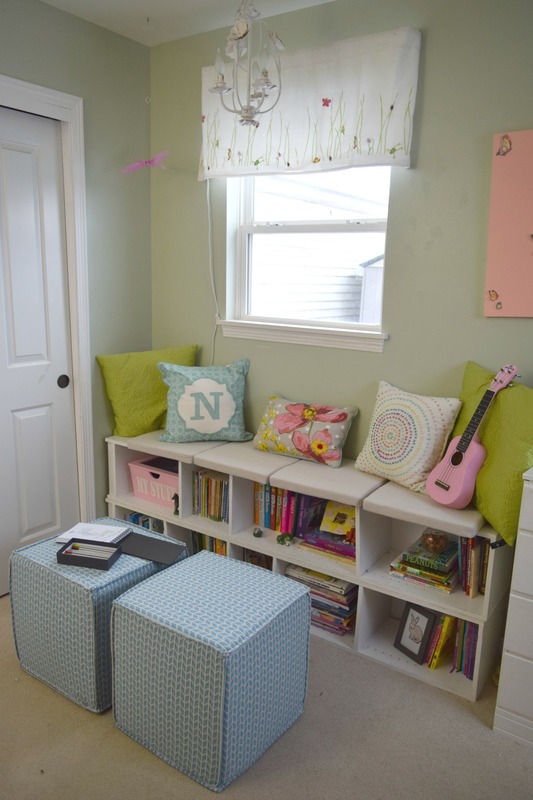 They fit perfectly in her light green and pink bedroom. 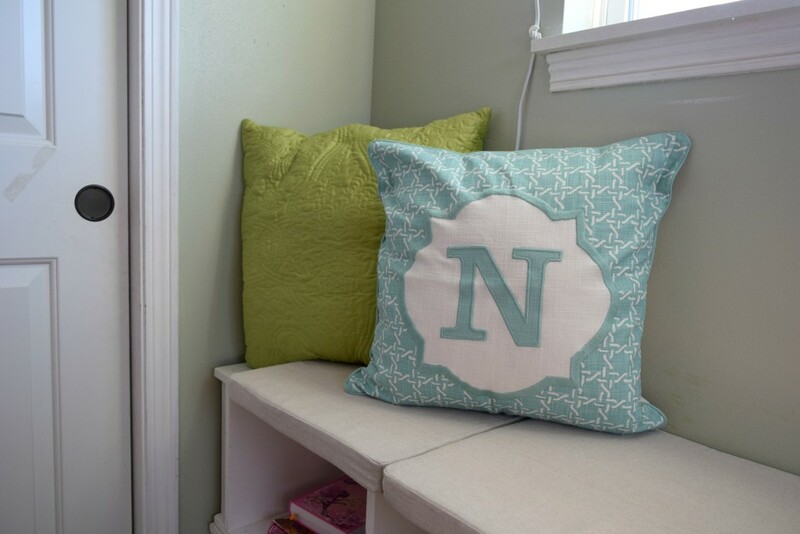 I got this Monogrammed “N” at a secondhand store, it was still in it’s packaging and was brand new. What?!!! These were the only “new” purchases for this space. Nora’s only requirement was lots of colors, flowers and rainbows. Nailed it! I set up the book’s in the shelf in a way for her to access them all. She has also collected a bunch of little knick-knacks over the years. Setting the books in staggering patterns or laying them in different directions allows for those knick-knacks to be displayed. Adding the personal touches to a bedroom, especially a child’s is so important. It helps the space feel like theirs, completely. 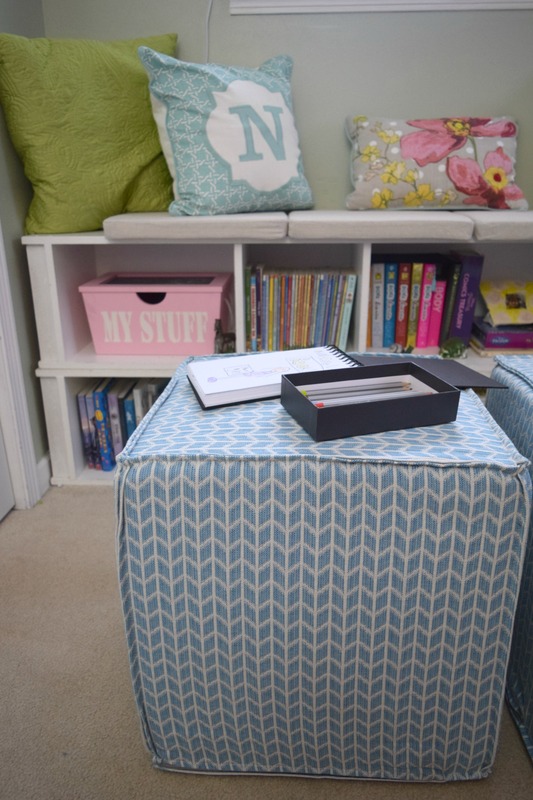 I am all about poufs, I love them and we have a lot of them in our home. We use them as stools, extra seating, or foot stools. My kids also use them as lava rocks to protect them from the hot lava. Fun times. 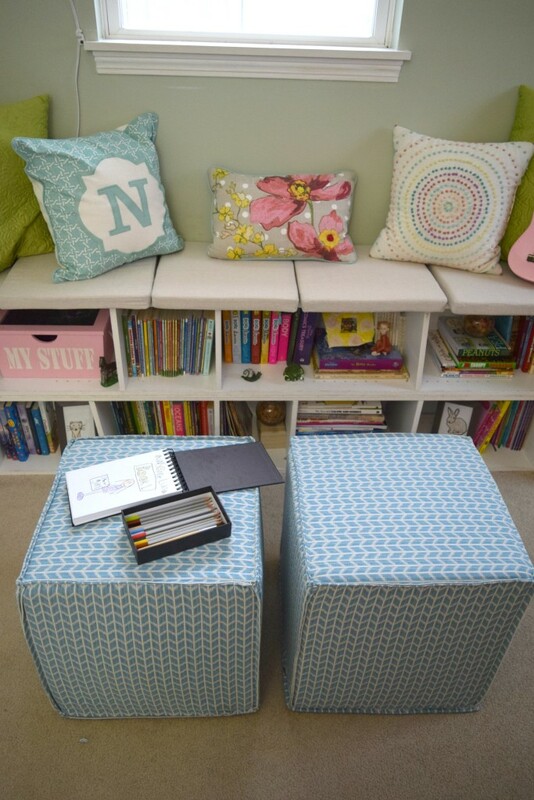 I fell instantly in love with these poufs from Wayfair. This Spectacular snow day campaign is all about coziness and comfort to me, the more seating options allows for more cuddles with people. 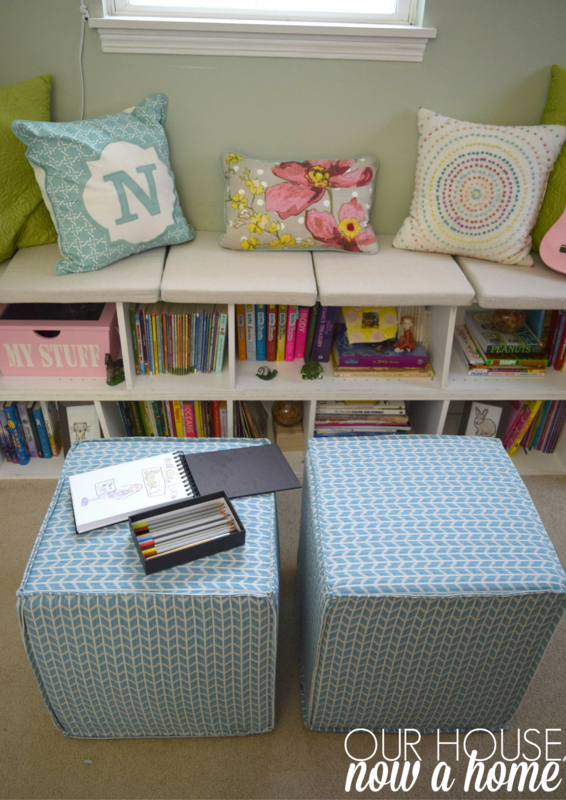 I like these poufs because they work beautifully in Nora’s bedroom. 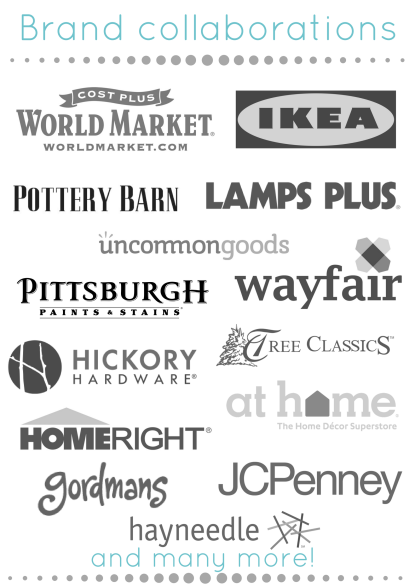 But if for some reason she no longer needs them, wants them, or changes her bedroom color scheme these are “adult” enough to fit in the rest of the home. 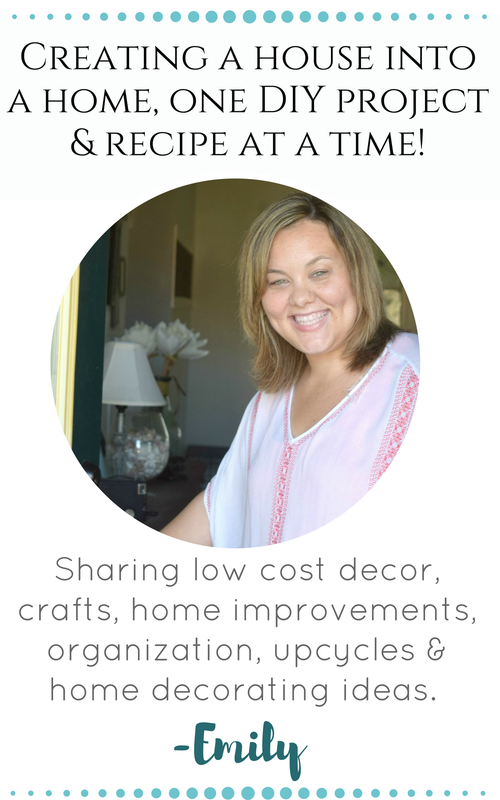 I try to have patterns, textures and accessories in my home that can transition to any room in the house. 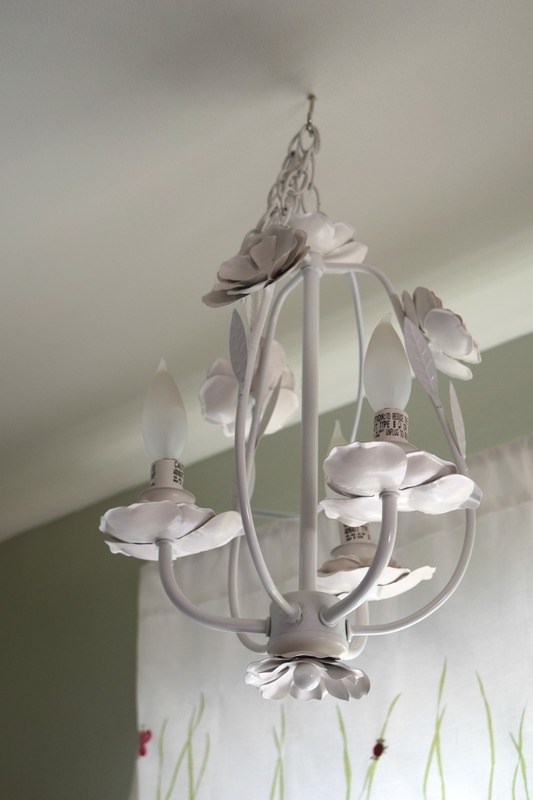 This hanging plug in chandelier was in our guest bedroom. We are redoing that and no longer had a use for it. I hung this in the center of the window, right above her new window seat. This, this picture is exactly what this space is for. Feet up, head back, lost in a good book and the snow falling outside. All that is missing is a comfy blanket. I freaked out for a second with Nora wanting to draw while resting on these poufs, until I realized that there is a zipper. 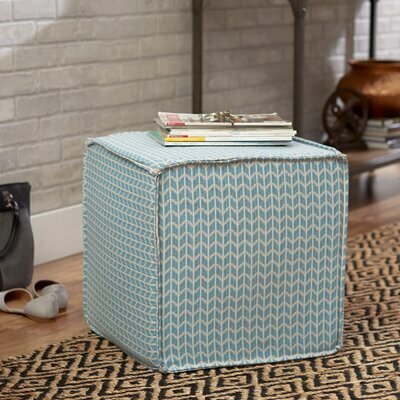 This pouf patterned cover can come off and is washable. A Mommy miracle! This is how my white sofa stays white, it is all removable. These will actually stay in good shape now. 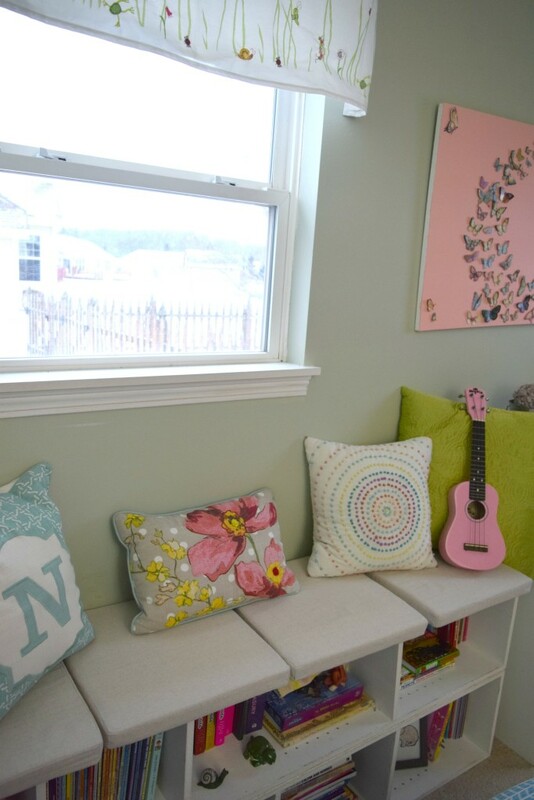 This space is so sweet to me with it’s bright colors, fun patterns and cozy seating. I know eventually Nora will not want this sweet and feminine bedroom. For now I relish this sweetness of her years and her bedroom. Nora was mid-drawing during most of this photo shoot of mine, I convinced her to leave long enough for me to snap some pictures. I created this space, and she is using it even if I am not ready for her to yet. 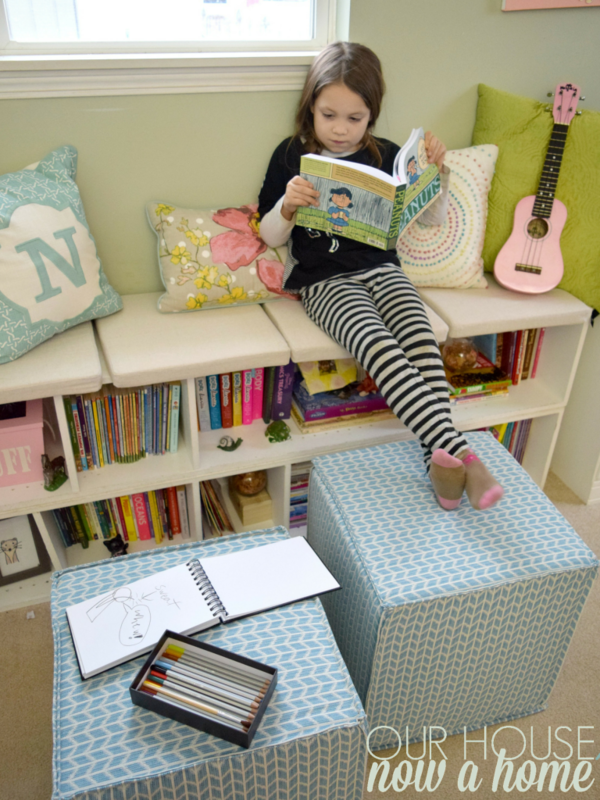 These poufs are at the perfect level for some tiny feet to rest on. 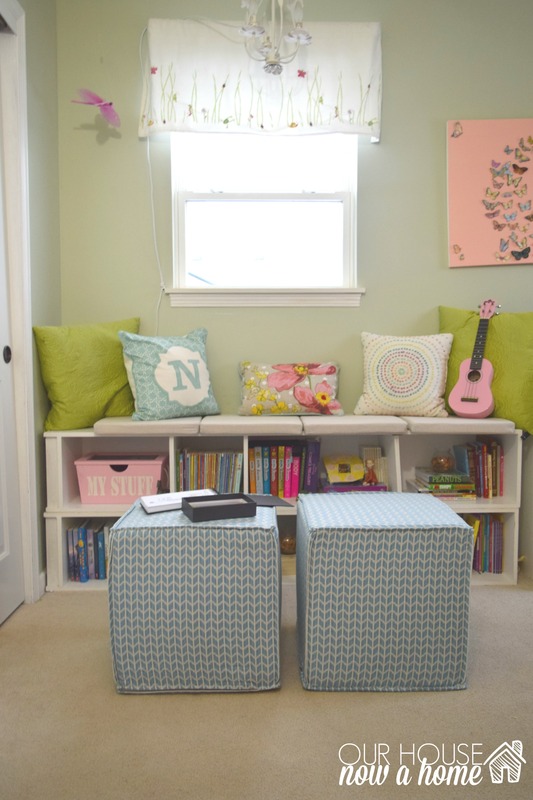 Or for her even smaller brother to use the poufs as a stepping stool to climb onto the newly created window seat. I snapped this picture this morning on my phone, it is not the best quality but captures the essence of this reading nook perfectly. She was supposed to be getting ready for school and I find her in here, reading. She insisted she wanted to spend all day doing this and kept asking me to check my phone to see if school was canceled. It was not, and had no chance of being. She was hoping though, and reluctantly I got her to school on time. She left her book perched on her new window seat ready for the second she gets home. Creating a simple window seat was really easy. This is the prime example I was talking about when I said sometimes just using the item differently will make a better use out of it. The tall shelves are made out of particle board and were painted white at one point. 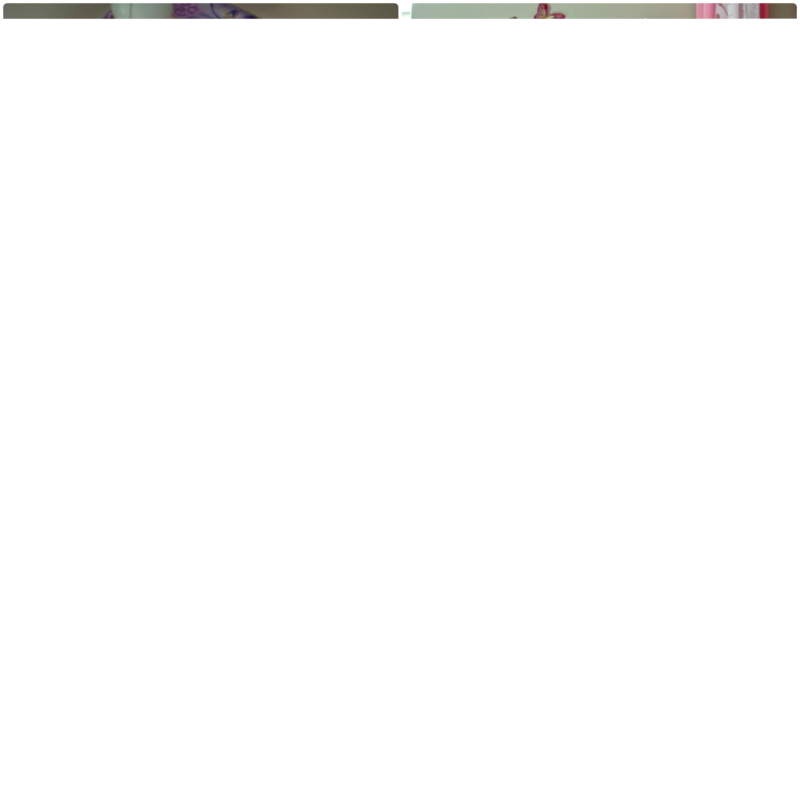 They were put in Nora’s bedroom standing up, but she could not reach the top shelves. This solves that issue right away, making every inch of these shelves usable space for her. It also solves the dream of my sweet Nora for her own window seat. This is the new place to be for my littles with it being cold outside. They read, draw, sing, giggle, or talk. It has become their own little nook and a perfect way to spend a Spectacular snow day! 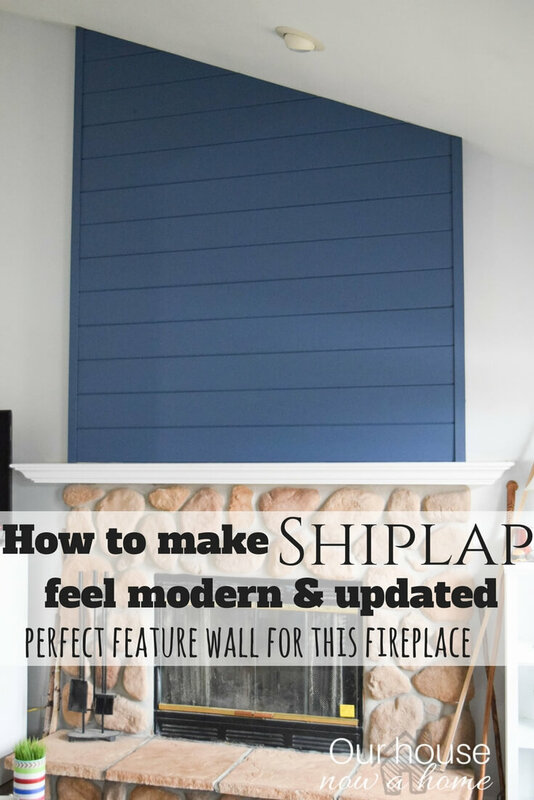 Have you ever used a piece of furniture differently and it brought a whole new life to it? Are you as in love with window seats as Nora is? Great job, Emily. I’m sure your daughter will get a ton of use of out that area! And that pink guitar is the cutest thing ever! Thank you! She loves the area so much! 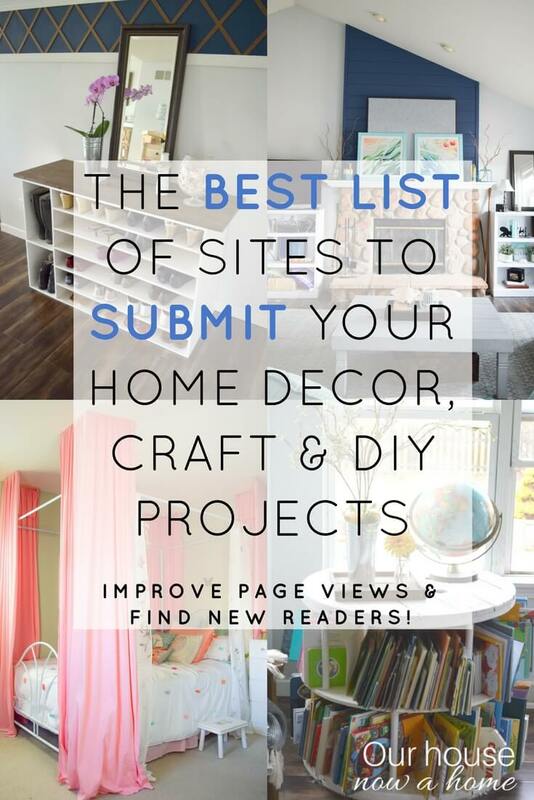 What an easy and fast project you can do anytime! Thanks! 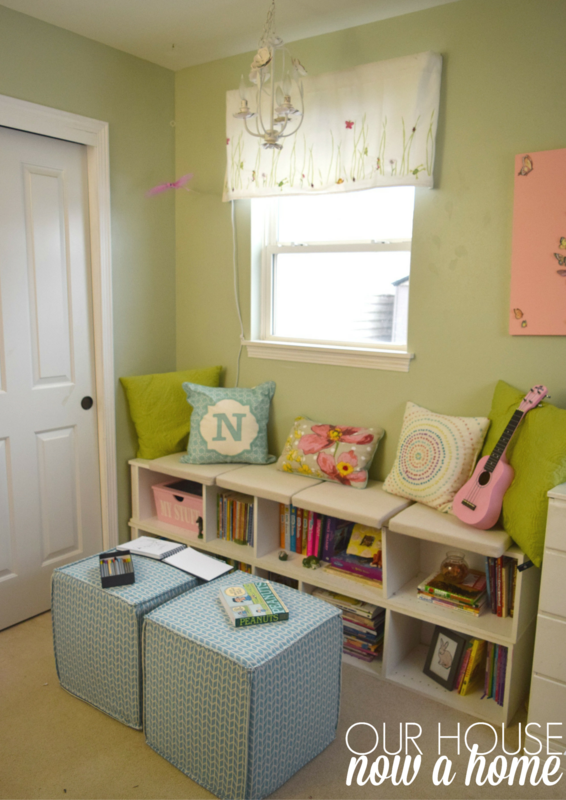 It was a easy project with a huge impact in her bedroom. wow, what a treat for you daughter! 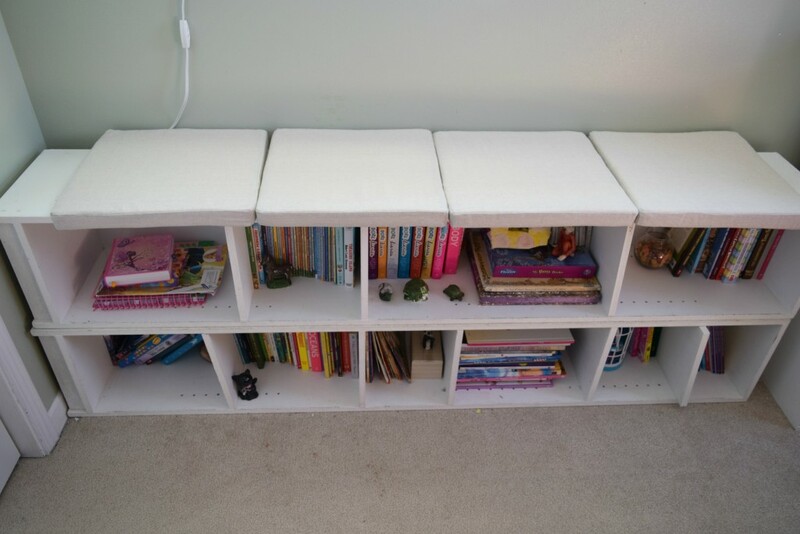 It looks like she loves it and a good way to reuse your shelves. She does love it! The whole family does. Ugh, kids always need more storage. No matter how organized I am! 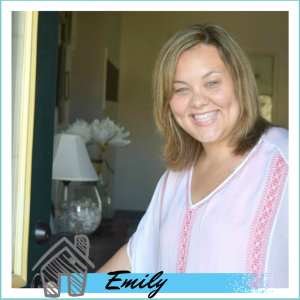 Love it Emily!!! 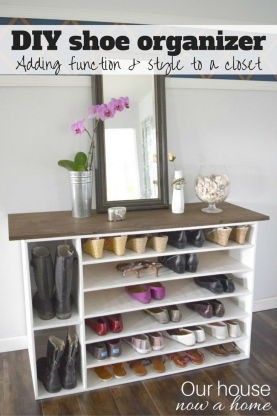 Such a great way to add storage and function! That is all really pretty. 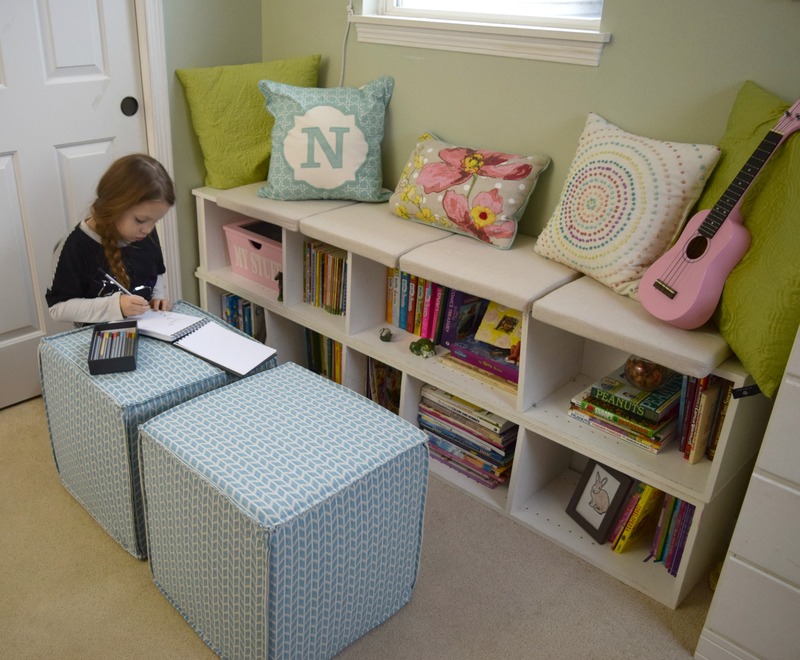 Do you think you will have to permanently attach the seat cushions or will she do well with keeping it all together? 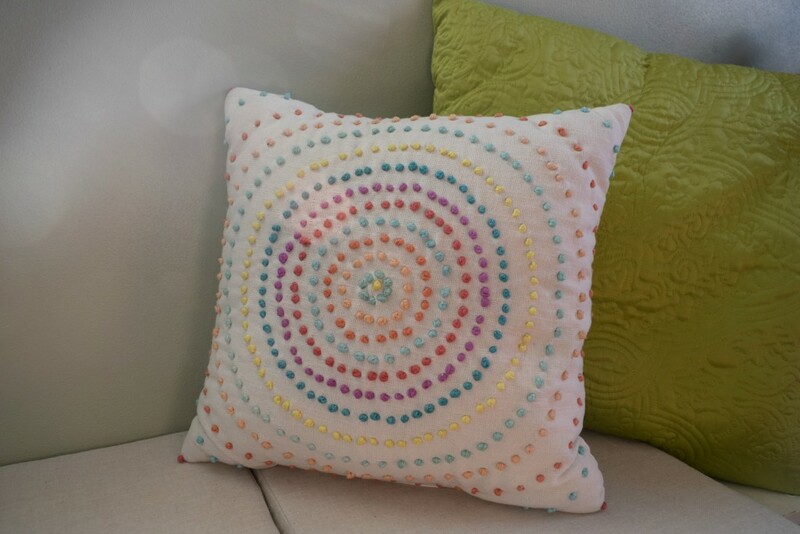 I am about to toss every pillow we own into a fire! They’re everywhere! That is a good point Crystal, as of now there has not been an issue with them. I figured if it becomes one I can always put a nail in the back of the shelf and tie to pillow string to that. My kids are horrible with our living room pillows, for some reason these have been set up and not touched by any of my kids. Turned out super cute. I think bookcases are the best so versatile. Loved how this turned out. Pinning. I love how you made a reading area out of the bookcase. Super cute window seat Emily! 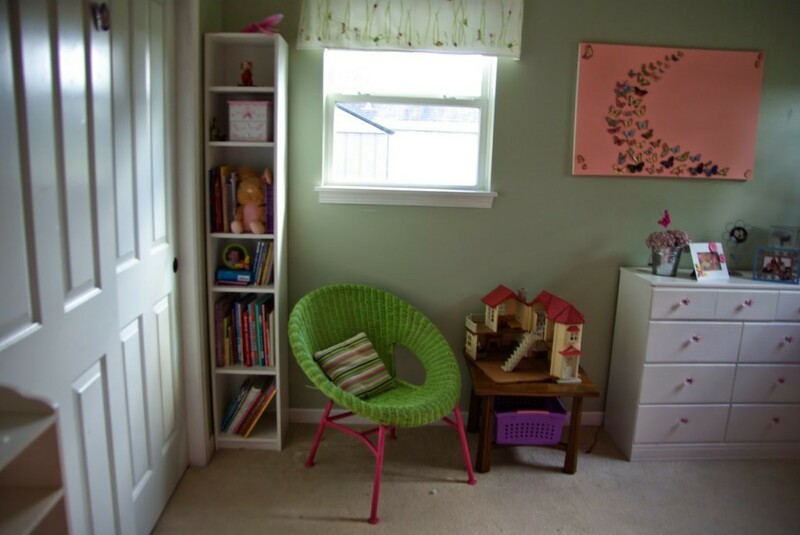 What a great space for your daughter to call her own! I love how you used the bookshelves. 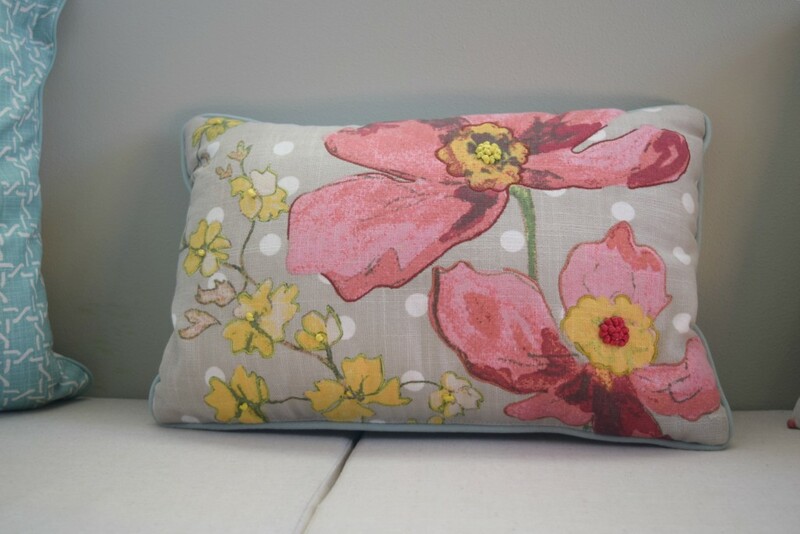 It turned out lovely and I love the pillows, too. Thanks! 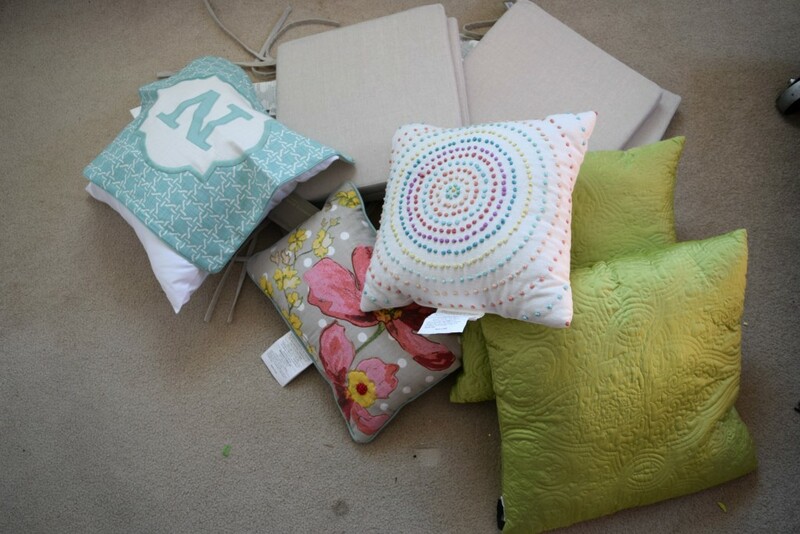 We had fun figuring out which pillows would work. I get to use fun colors and patterns in her bedroom. I would love an area like this in our home. What a great spot to encourage reading. You did a fantastic job. Thank you so much! She has been an eager reader from the start. This is just beautiful! Love the book storage-what a great place to read! Thank you! She spends a ton of time here now, even her brothers like to hang out here. 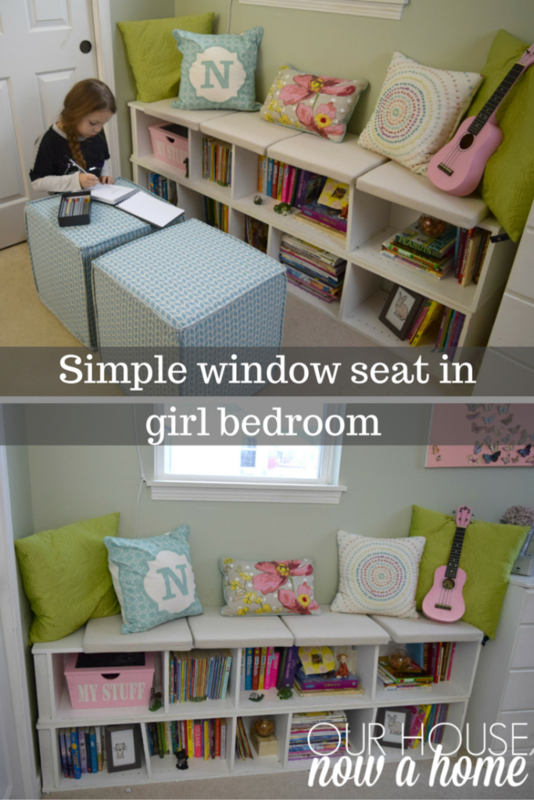 Love this idea, and her room is a great space! Thank you! 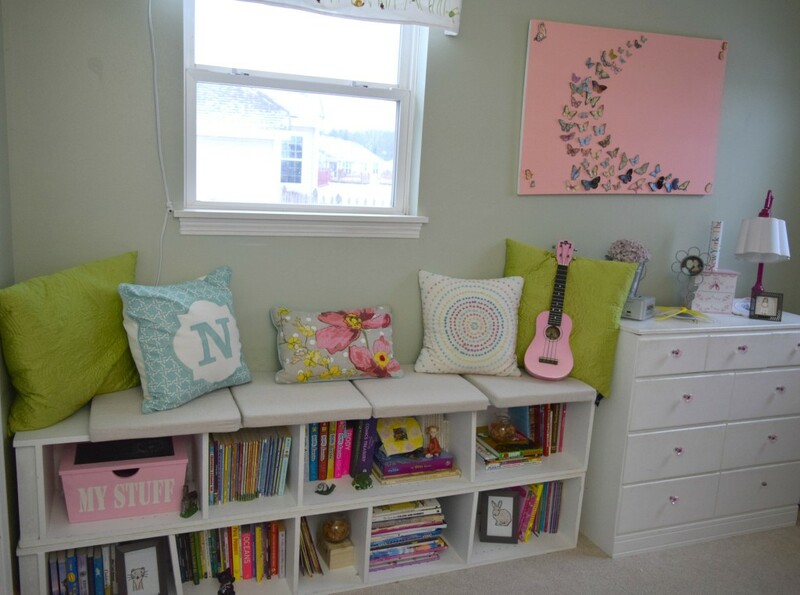 Her room is so sweet and girly, I adore it! 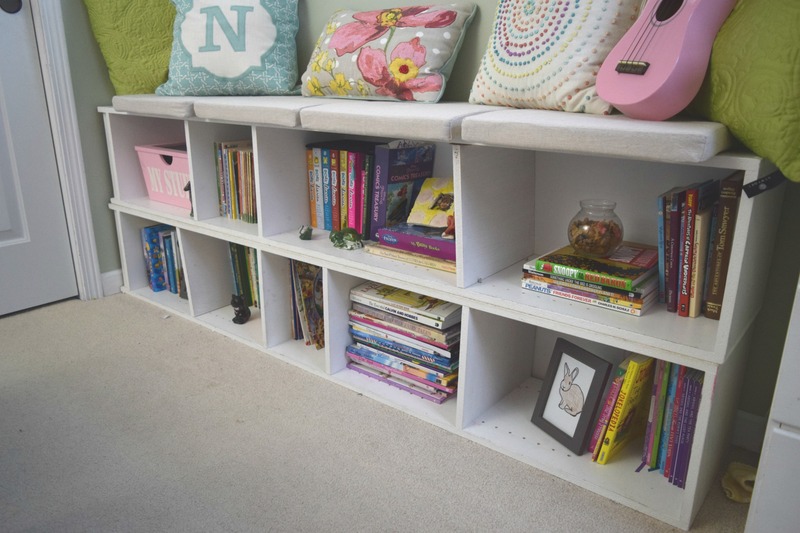 I love the book shelf seat- so cute and practical. Her entire room is adorable. Lucky girl! Thank you! 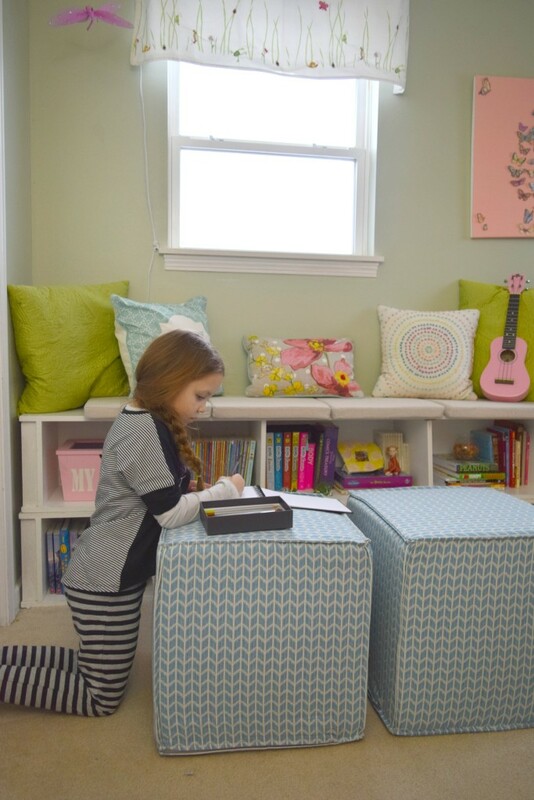 I love how her bedroom turned out! Such a sweet room! 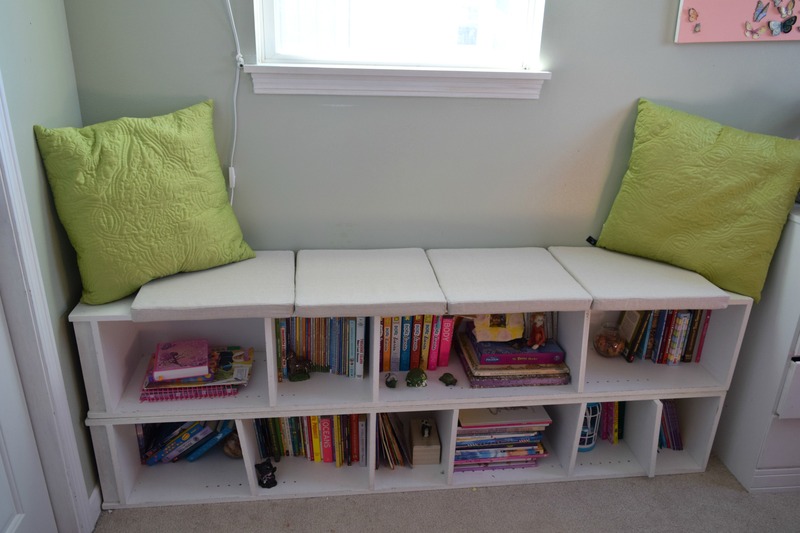 and I love the bookshelves into a bench idea! Wonderful! !